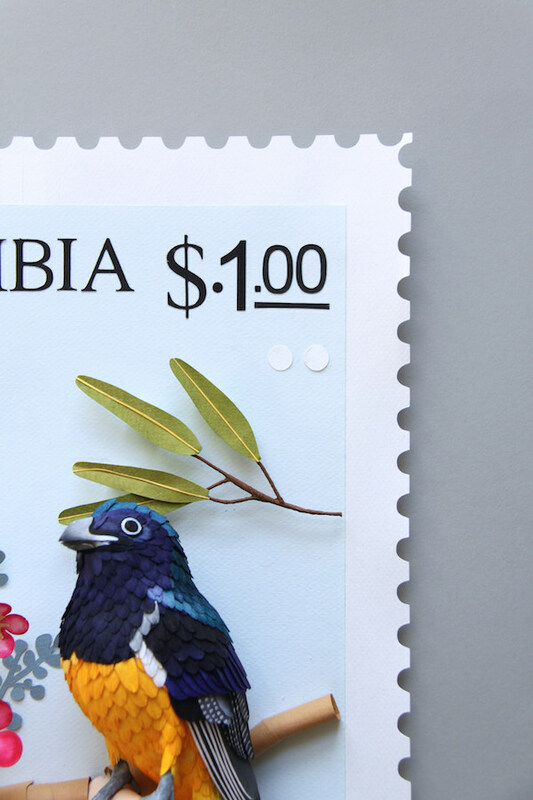 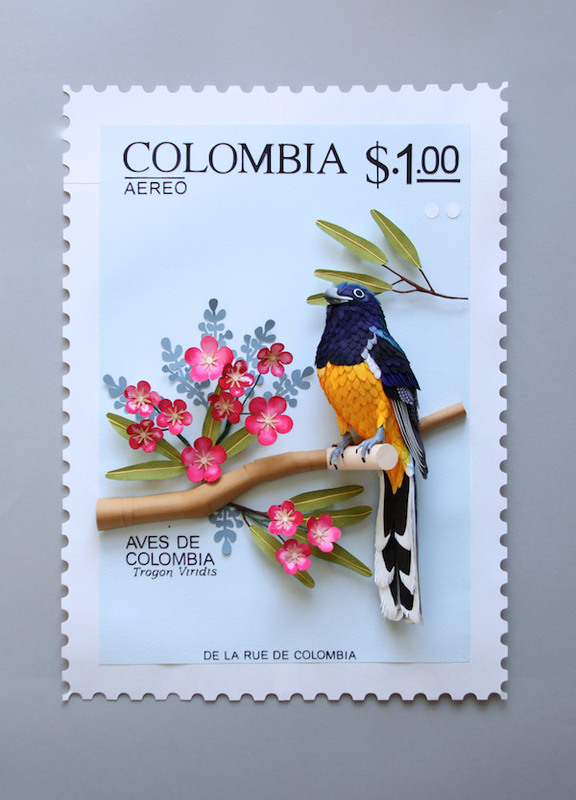 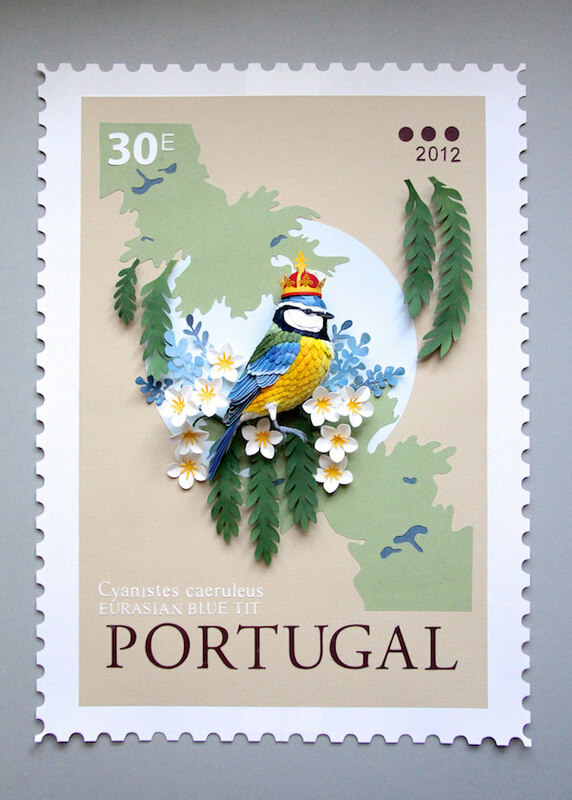 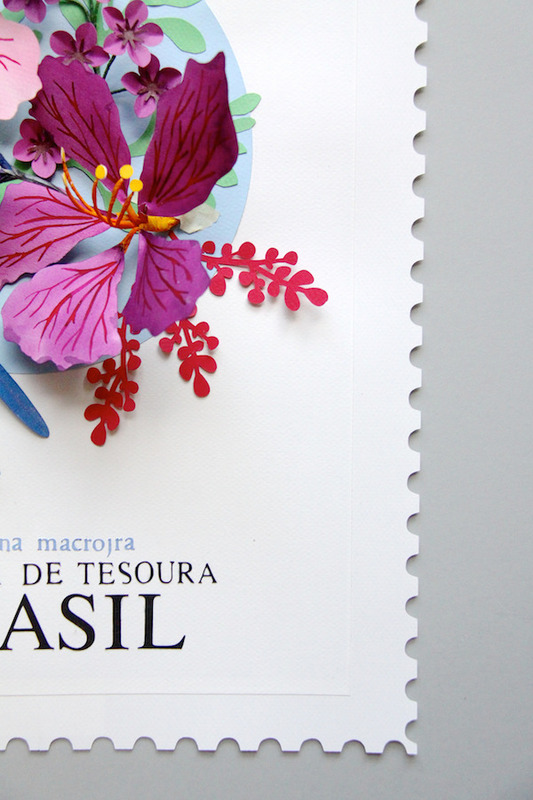 3D bird-themed stamps created with colorful paper cut-outs by Diana Beltran Herrera. 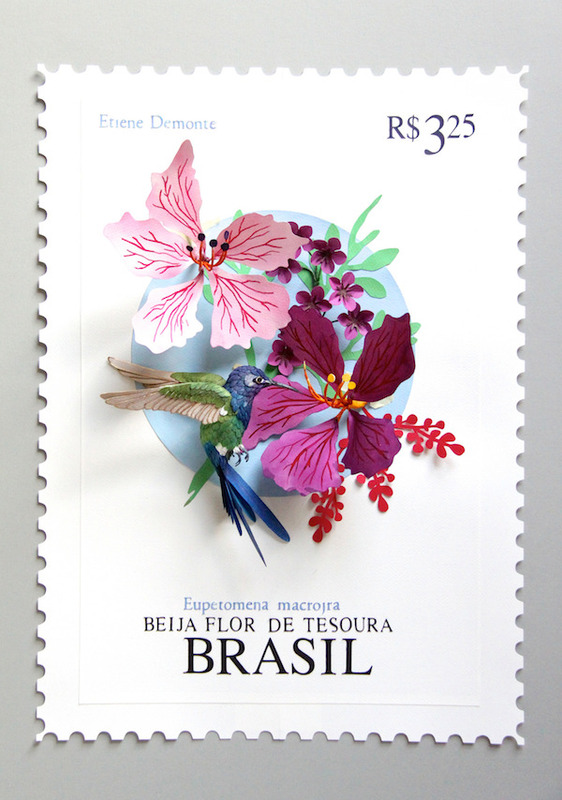 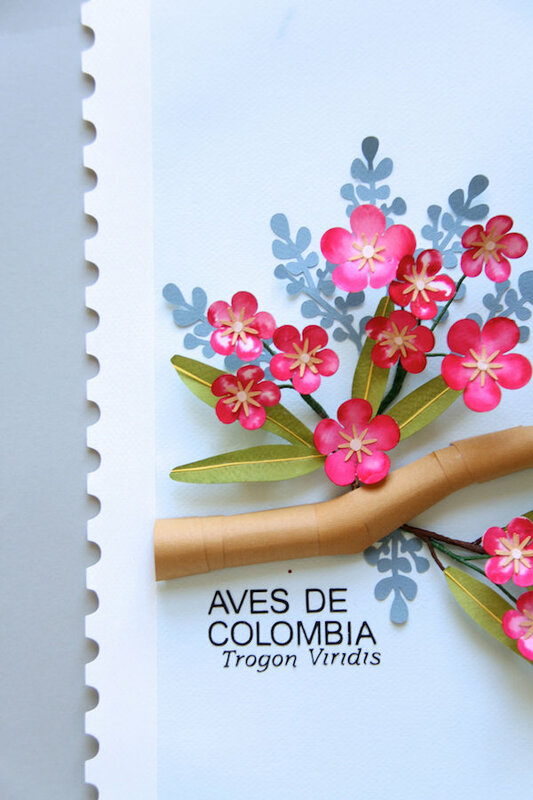 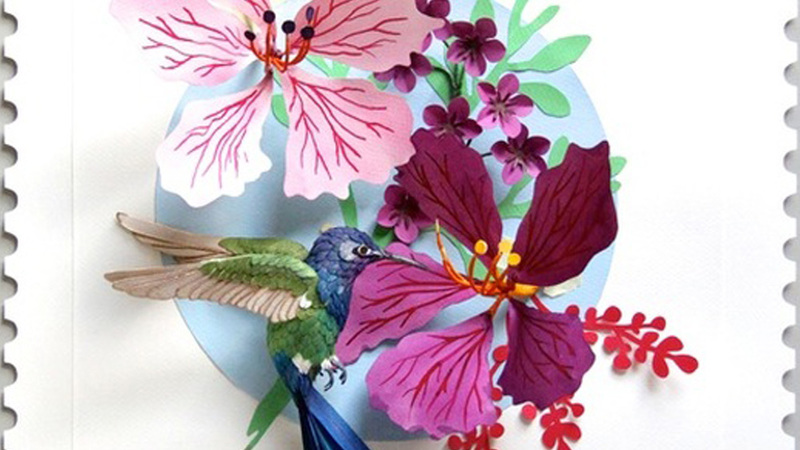 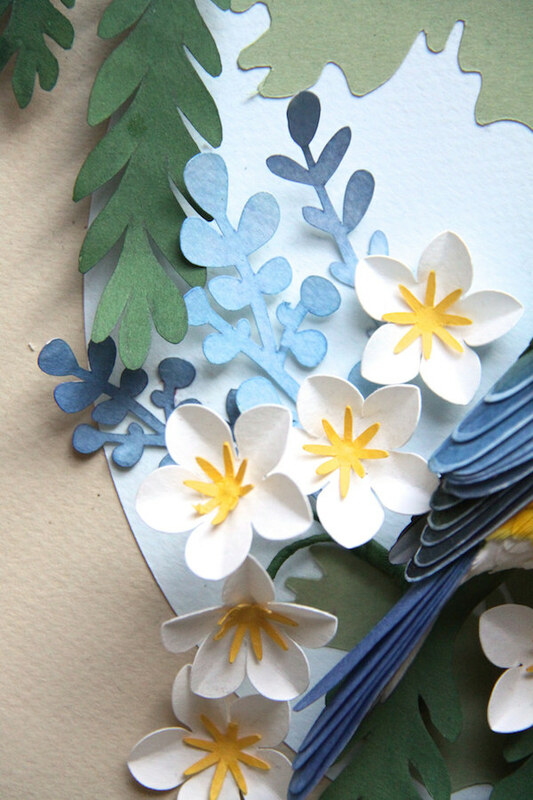 Herrera also cut-outs flowers and other nature elements to complement the paper bird sculpture. 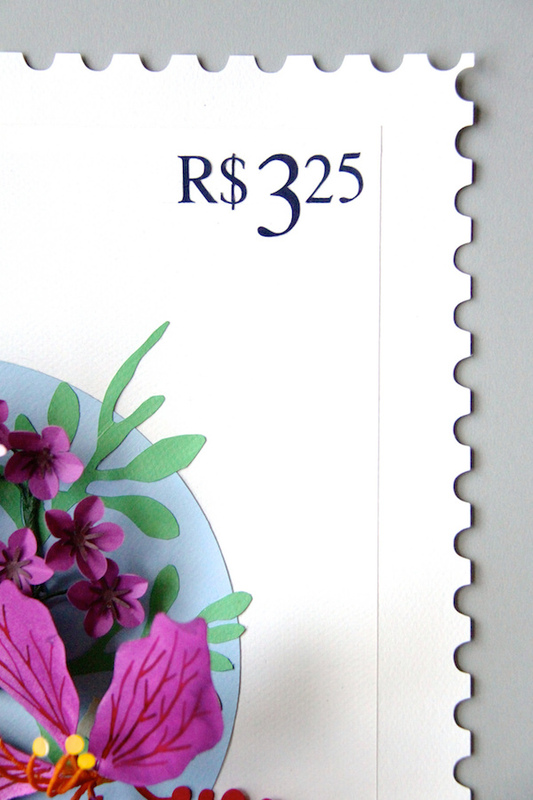 Her fine attention details is rather apparent.